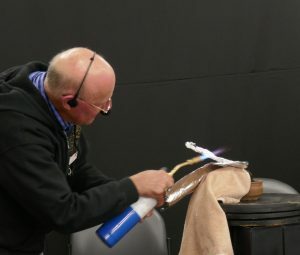 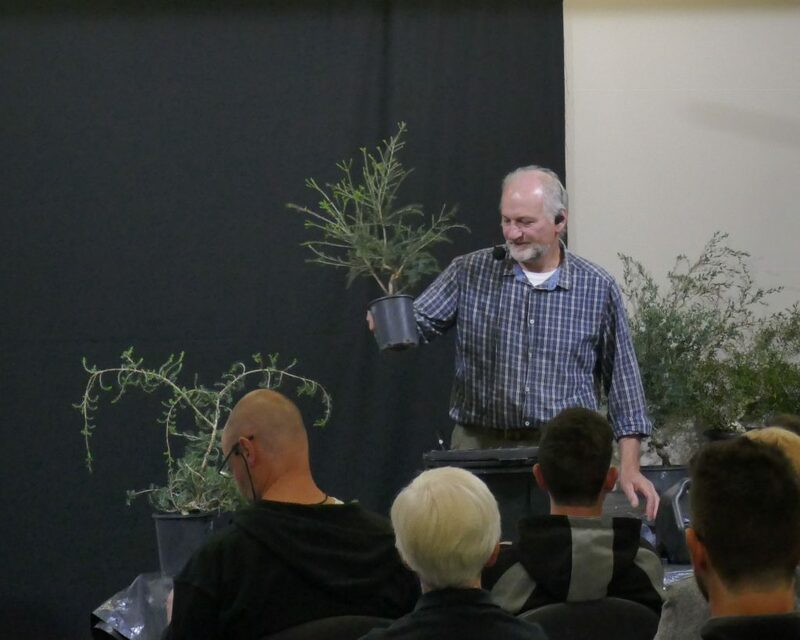 This meeting featured an excellent presentation by Neil Padbury under the AABC Visiting Tutor Program. 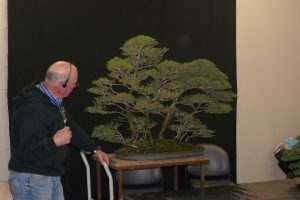 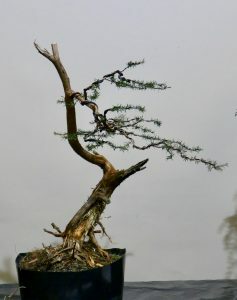 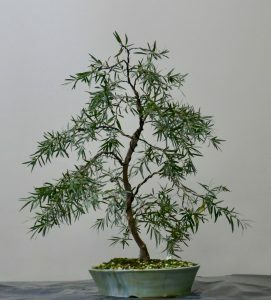 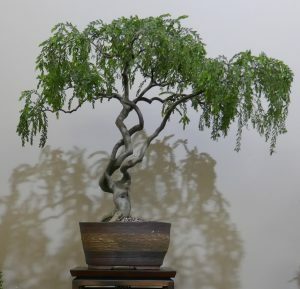 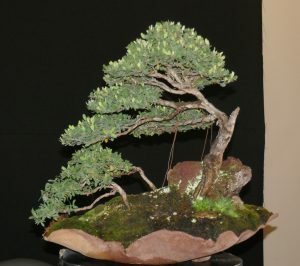 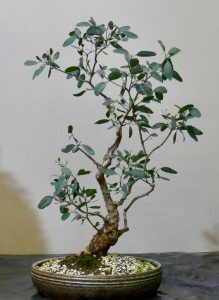 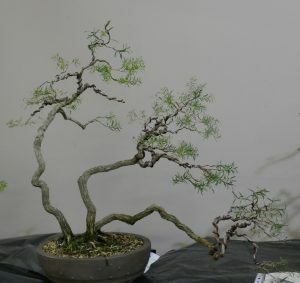 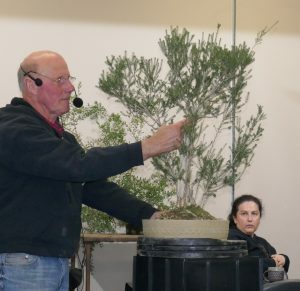 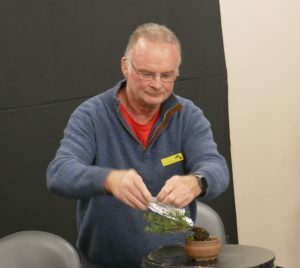 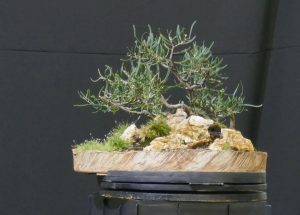 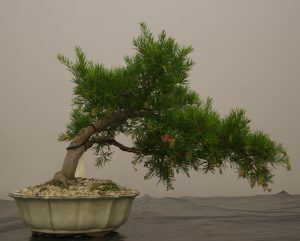 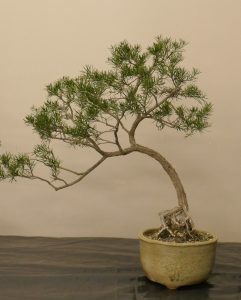 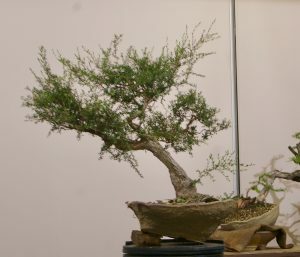 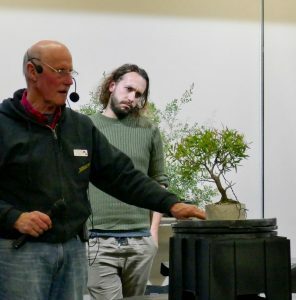 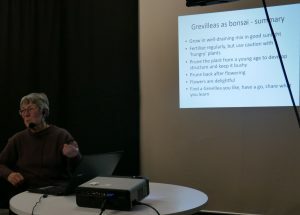 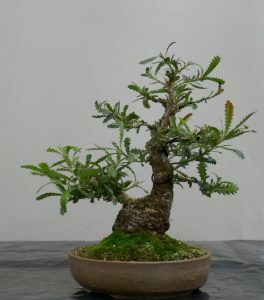 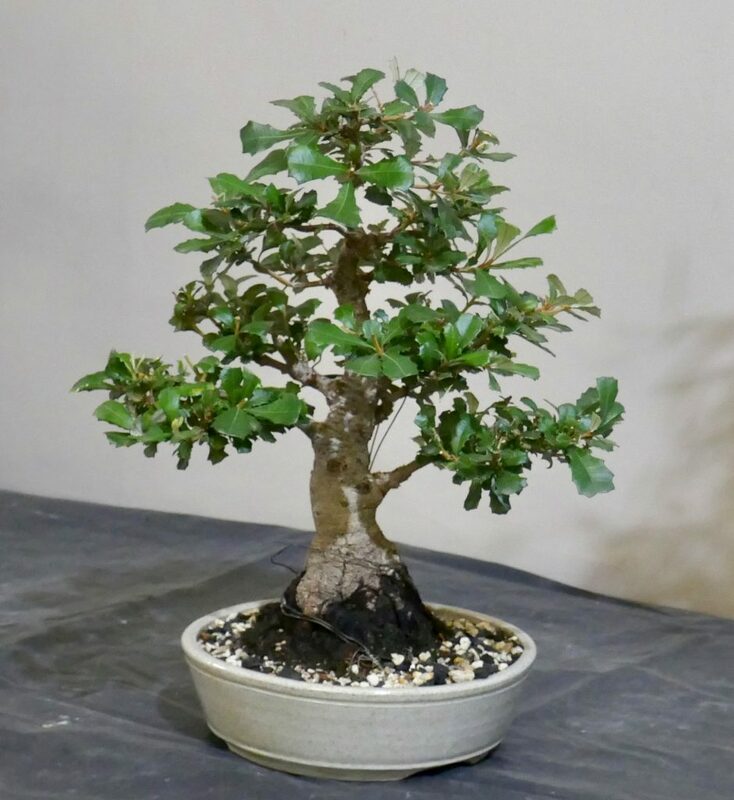 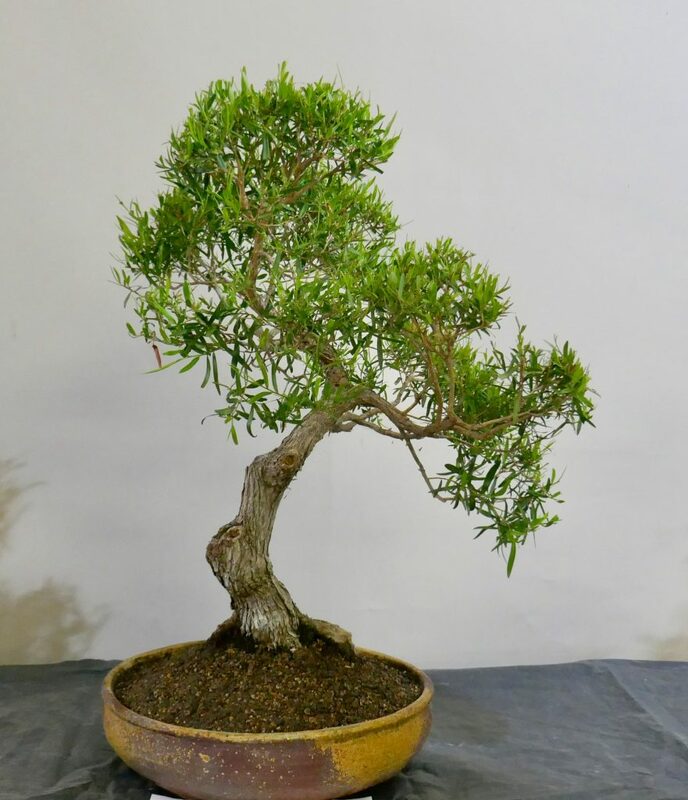 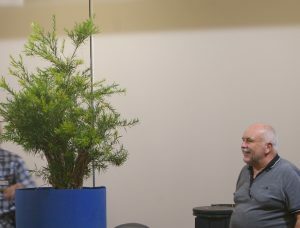 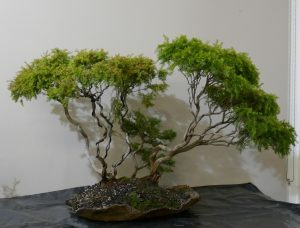 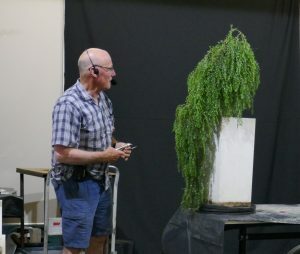 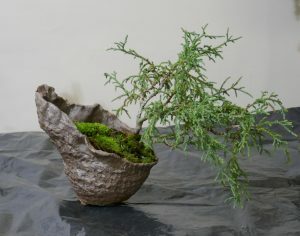 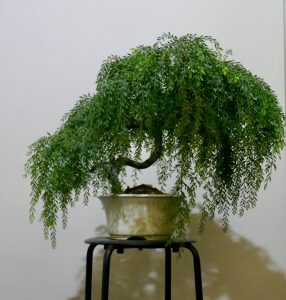 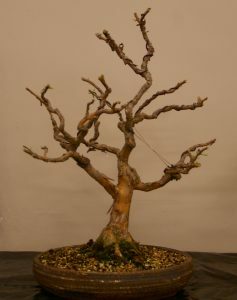 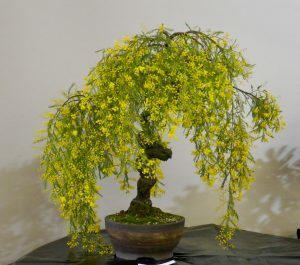 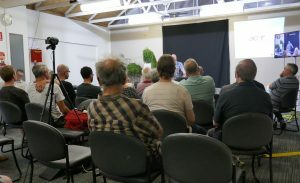 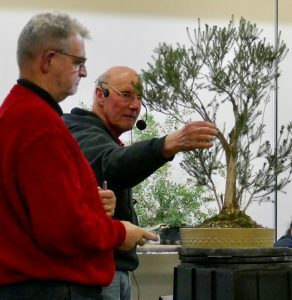 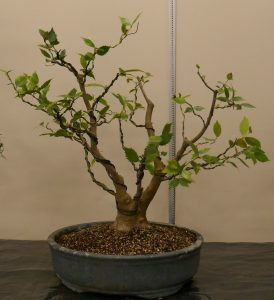 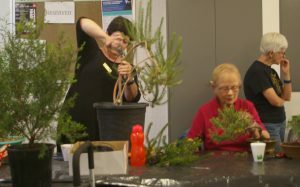 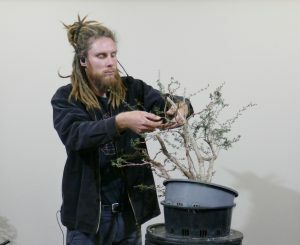 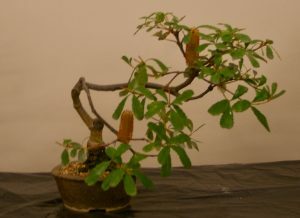 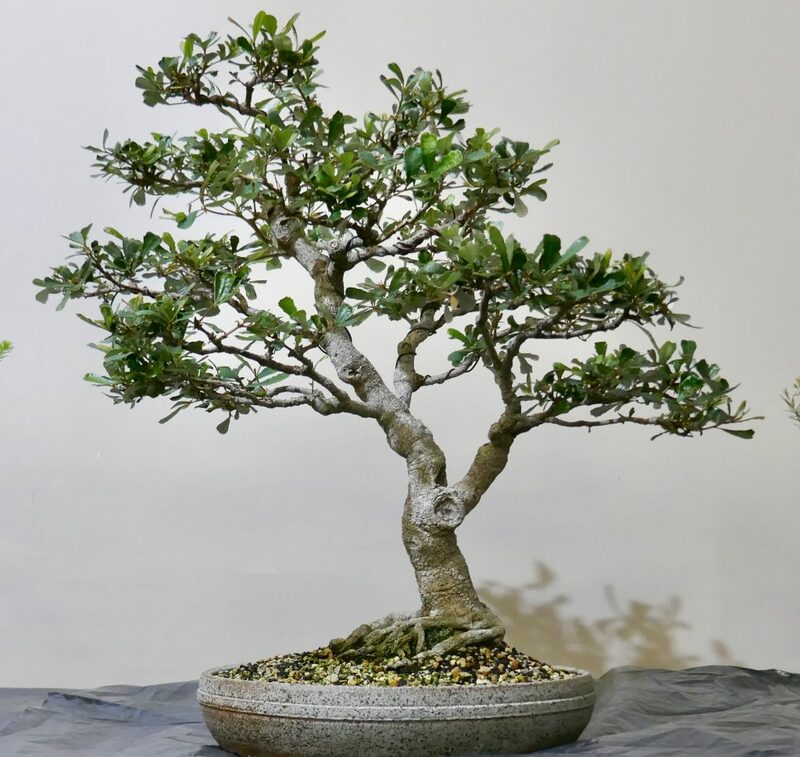 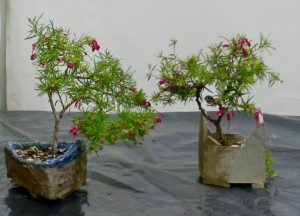 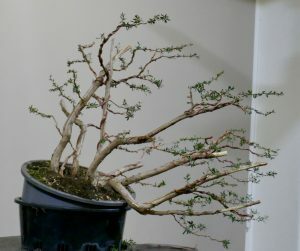 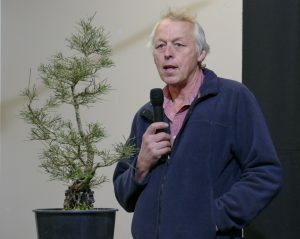 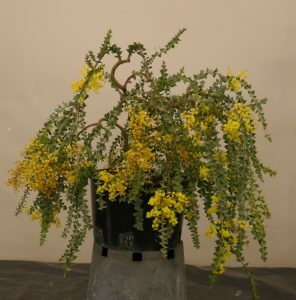 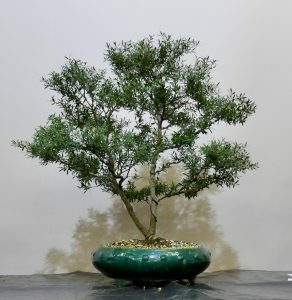 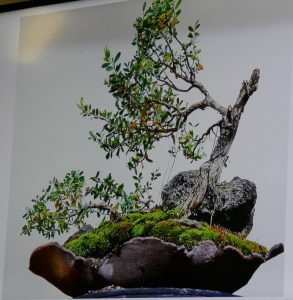 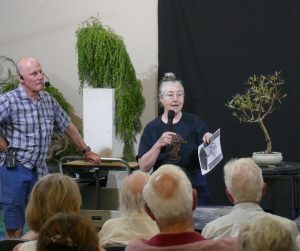 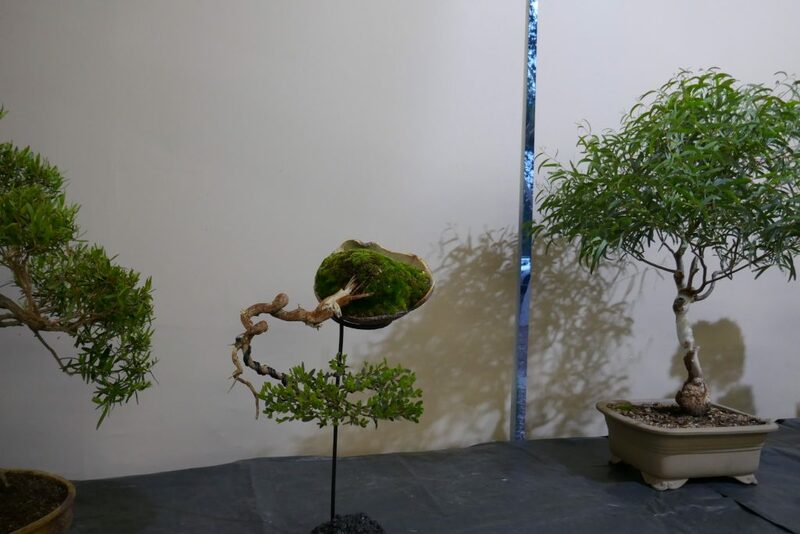 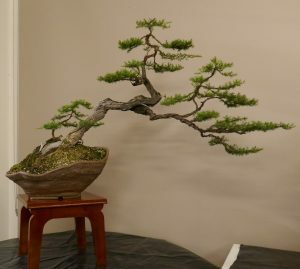 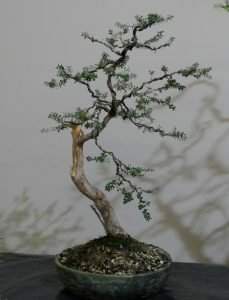 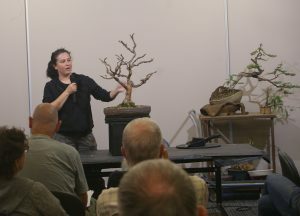 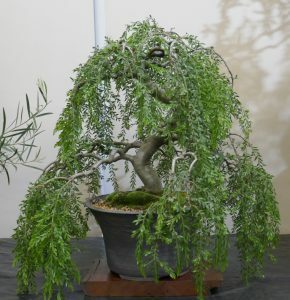 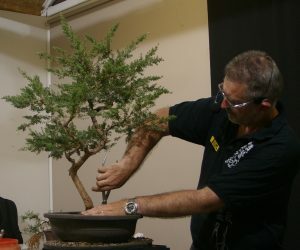 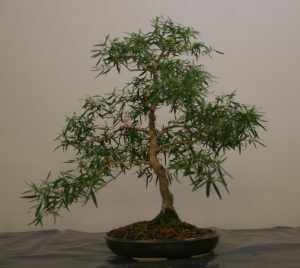 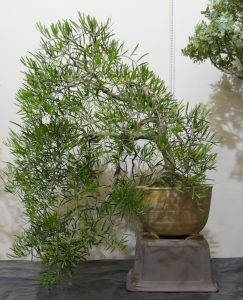 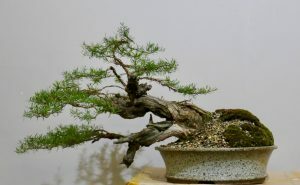 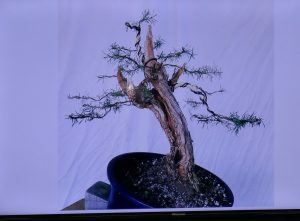 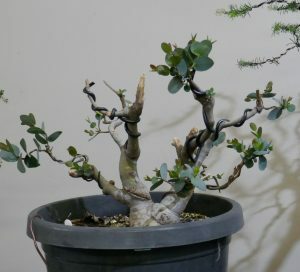 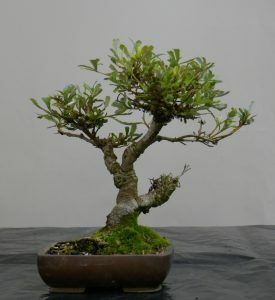 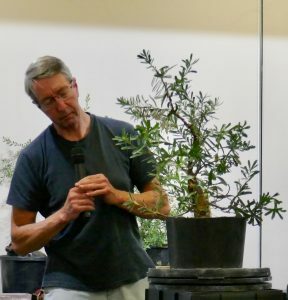 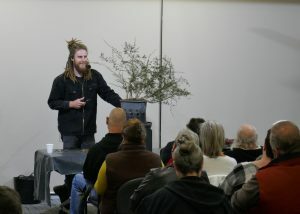 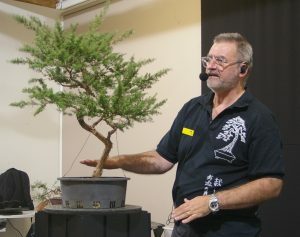 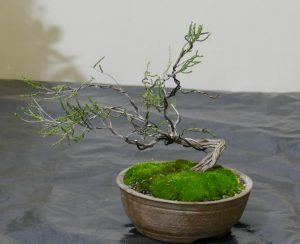 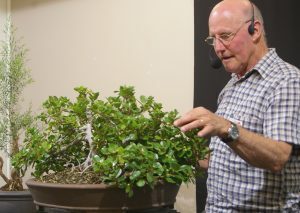 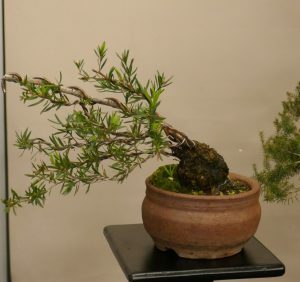 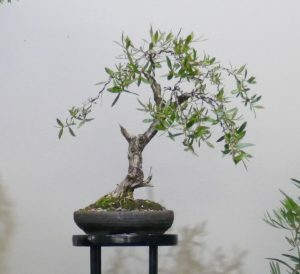 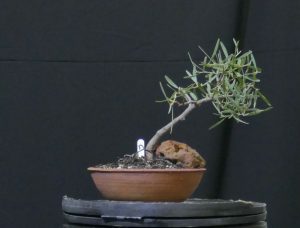 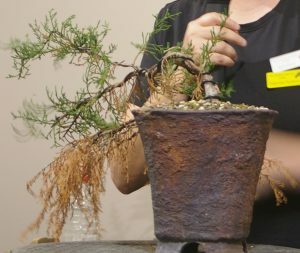 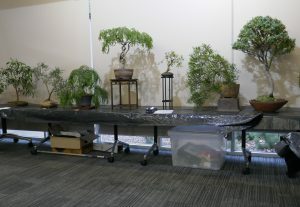 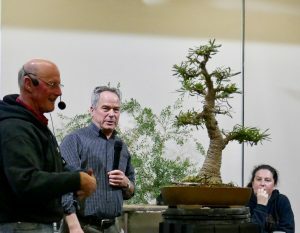 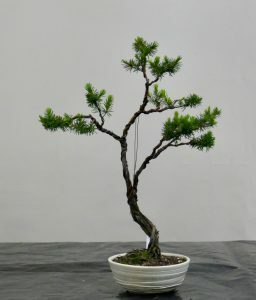 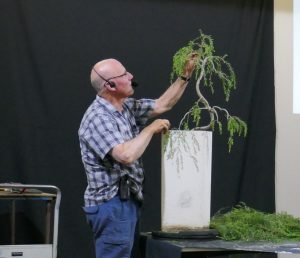 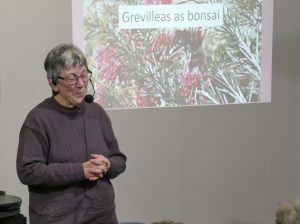 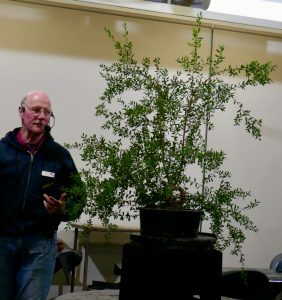 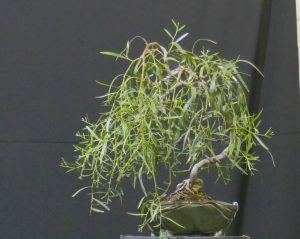 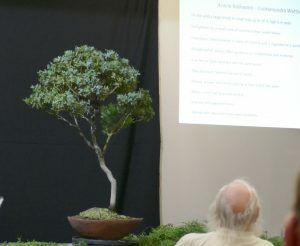 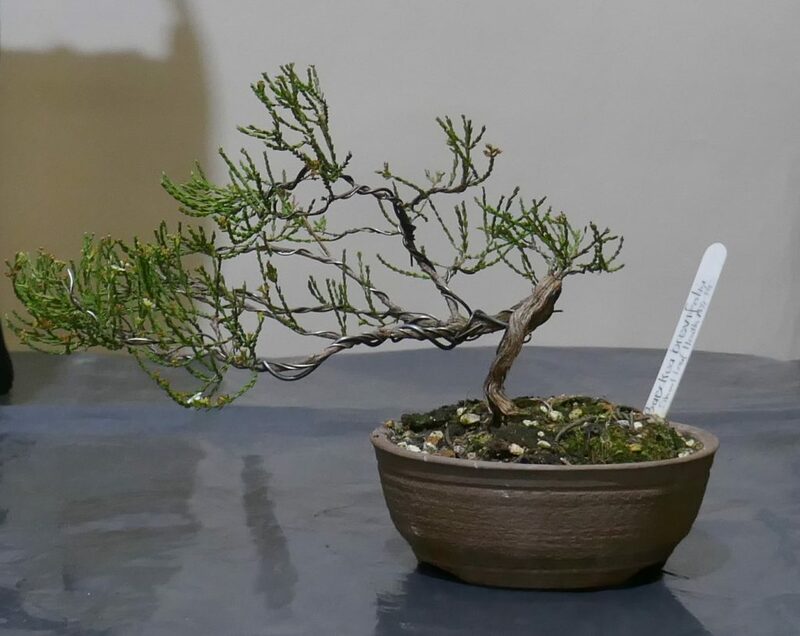 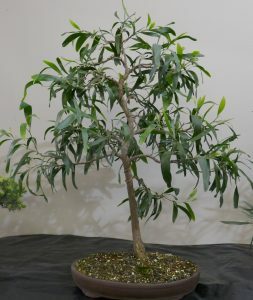 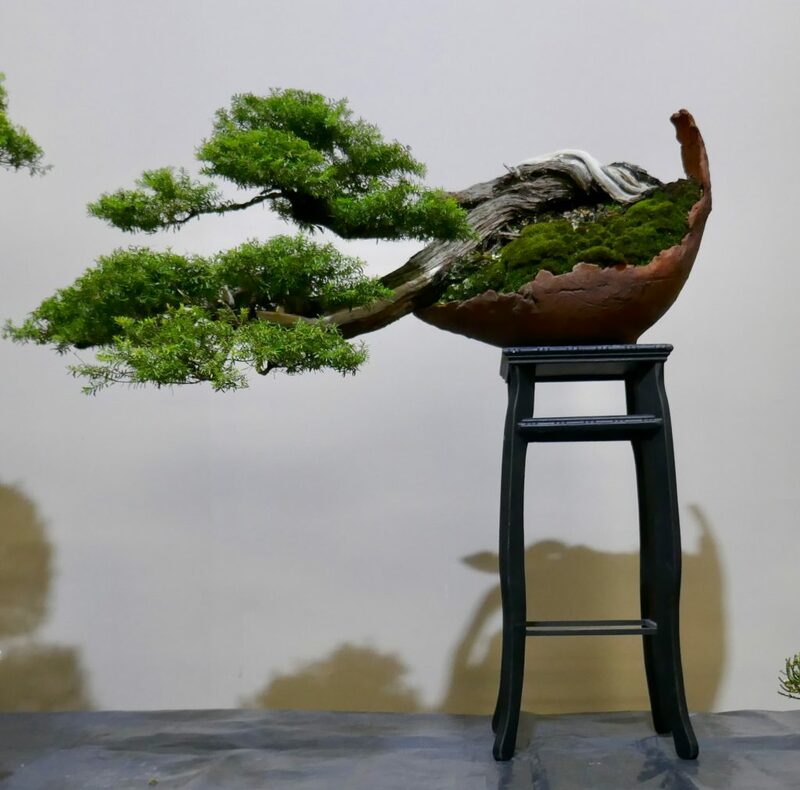 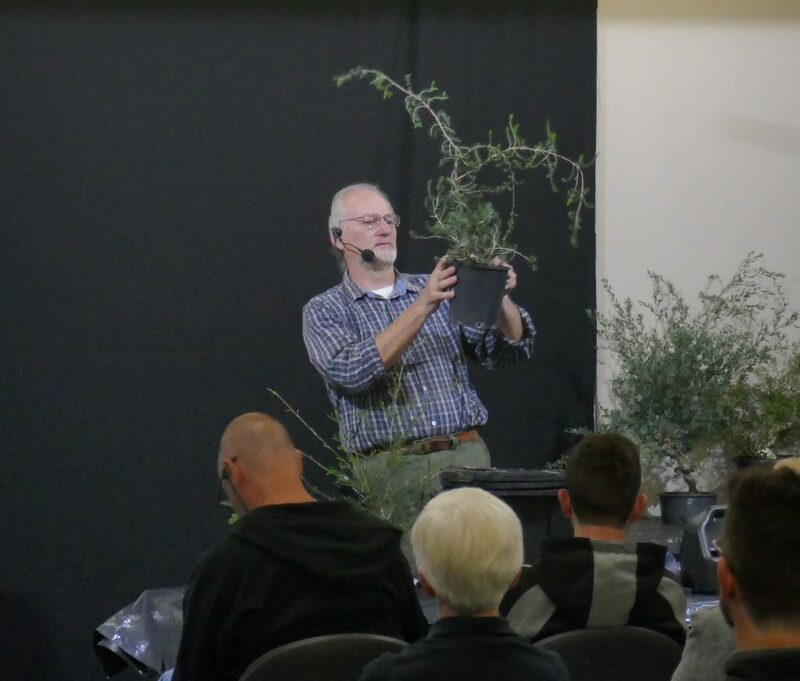 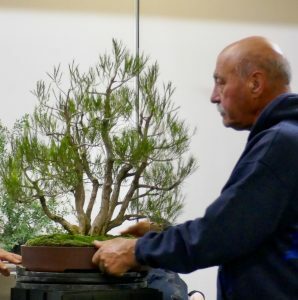 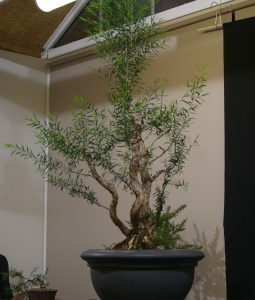 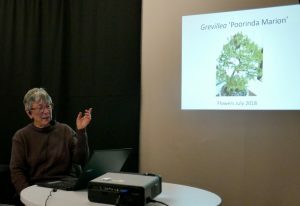 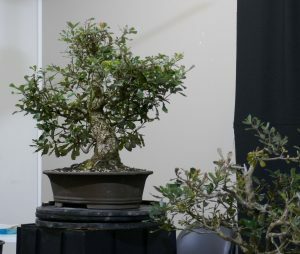 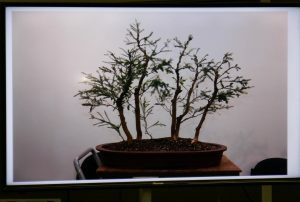 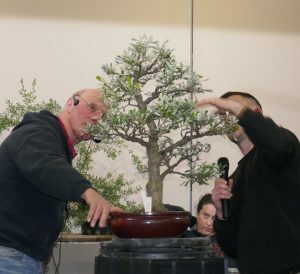 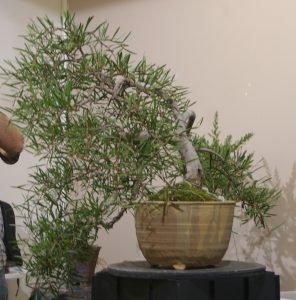 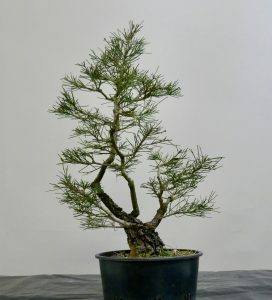 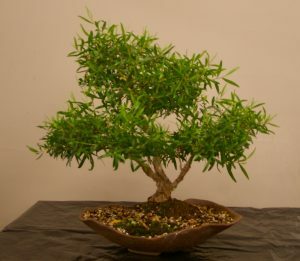 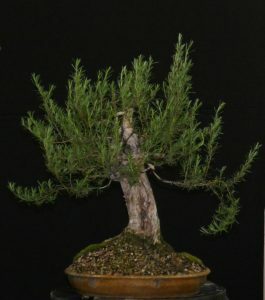 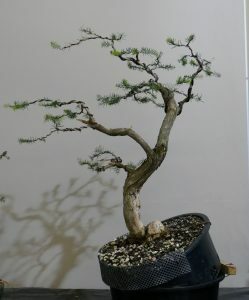 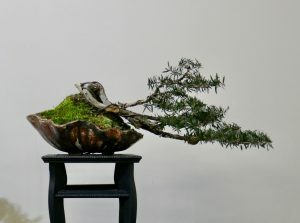 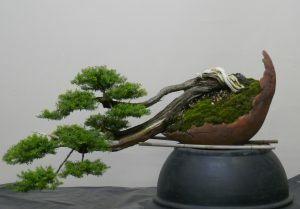 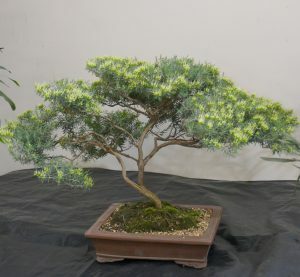 With his extensive experience in field-growing trees for bonsai stock, Neil’s more recent trials of growing Australian natives as field-grown stock was of much interest to members. 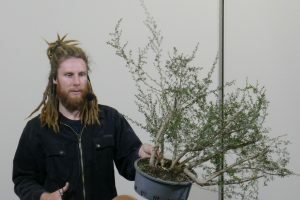 Neil outlined his approach to growing several species which he had grown for up to three years in open soil situations, prior to moving them into large containers for further development. 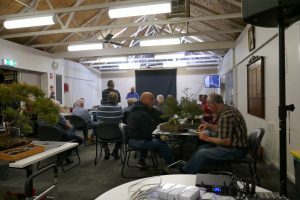 The species involved were various Banksias, Leptospermum (“Neil’s Winner”, from Great Ocean Road area), Melaleuca teretifolia, and Eucalyptus camaldulensis. 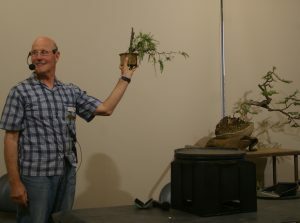 The presentation covered the growth rate differences of plant trunks (often not much difference) between field-grown and pot-grown trees, timing of transplanting, fertilizer use, and management of roots in transplanting from field to pots.